ENCINITAS — Opponents of a density-bonus development in Olivenhain known as Desert Rose said a Superior Court judge’s ruling and the City Council’s recent closure of several loopholes popular among density development could significantly change what the developer can do on the site. But the attorney for the developer said his client plans to appeal the ruling, and also said the city has assured him that the Council ruling will not affect the project. On July 22, Judge Judith Hayes issued a final ruling in the case that pitted the city and developer Woodridge Farms Estates against an opposition group, known as Save Desert Rose. Hayes’ ruling voided the city’s approval of the project, stating that the city violated state environmental quality laws by not fully vetting the project’s environmental impacts. The ruling mirrored Hayes’ tentative ruling filed in April. The court decision also includes injunctive language that restricts any work on the project until it goes through the environmental process or an accord is reached between the parties. Save Desert Rose sued Encinitas and Woodridge in 2013 after the City Council reversed the planning commission’s previous rejection and approved the developer’s 16-home development on a four-acre site in northeast Olivenhain. Neighbors packed council and planning commission meetings in the months leading up to the council decision, arguing that Desert Rose was too dense for the surrounding community and would clog traffic, create access and exit issues in the event of a fire, harm nearby wetland and creek habitat and irrevocably change the rural equestrian community. The City Council, which voted 3-0 to overturn the Planning Commission’s 3-2 denial, said their hands were tied by state density bonus laws, and denying the project could lead to a lawsuit. Attorneys for the city and developer argued in court that state density-bonus law does not allow the city to deny a project based on environmental concerns. Save Desert Rose contended that state environmental laws needed to be satisfied in harmony with the density-bonus law. Bill Butler, one of the leaders of the Save Desert Rose movement, said Hayes’ ruling was “vindicating” for opponents of the project. “We were painted as NIMBYs (Not In My Back Yard), but the ruling does show that our concerns did have merit and should have been taken into consideration by the city,” Butler said. 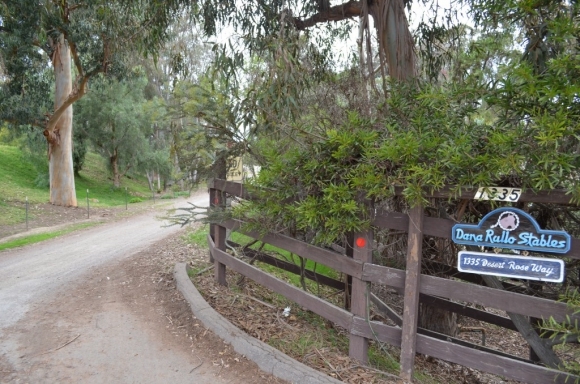 Mark Bramson, another Save Desert Rose member, said neighbors of the project site, which is currently a eucalyptus- and pine-laden horse boarding facility on Desert Rose Way, understand that development on the site is inevitable. Butler and others believe the ruling opens the door for the Desert Rose development to be subject to a tighter set of restrictions the City Council approved just before its summer recess. The new rules require developers to round down the number of units proposed on a site if the number of allowable units is a fraction, build affordable units within the projects to at least 75 percent of the size of their market-rate counterparts and provide evidence to demonstrate the need — financial, physical or otherwise — for a waiver for development requirements. Residents have argued that developers have exploited these loopholes to create much denser developments then the law intended. An attorney representing the developer, who said they are appealing the July court decision, said the council’s decision does not apply to Desert Rose. Marco Gonzalez said he has met with city staff following the Council’s vote and was assured it wouldn’t apply to the Desert Rose project. When asked if the Hayes’ voiding of the approval would open the door to a different interpretation, Gonzalez said the forthcoming appeal would stay the voidance. Gonzalez said he would “absolutely have to file a lawsuit” in the event the city did try to enforce the policy measures on the project. Bramson and Butler on Wednesday said the ultimate arbiter of who the changes apply to is the City Council, because the changes were changes in council policy. As for the appeal, Gonzalez said he feels the developer’s case is strong and felt the trial court made its ruling based on anecdotal evidence of neighbors rather than concrete data from experts. Delano said he anticipated Gonzalez would make that argument, among others, on appeal, but feels confident that Save Desert Rose will prevail in the appeal arena as well.